India’s first lowrider new Maruti Suzuki Swift – looks NEAT! 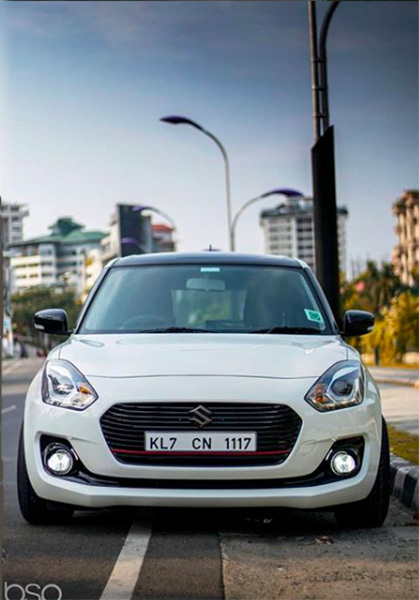 The new Maruti Suzuki Swift has been busy setting sales charts on fire. The new Swift really has a lot to offer – it’s attractively priced, offers very frugal and sufficiently powerful engines, a modern design, a comfortable cabin, and is pretty fun to drive. We’ve already seen many new Swift-based mod jobs from abroad. Finally, there’s an Indian mod-job that has made us sit up and take notice. 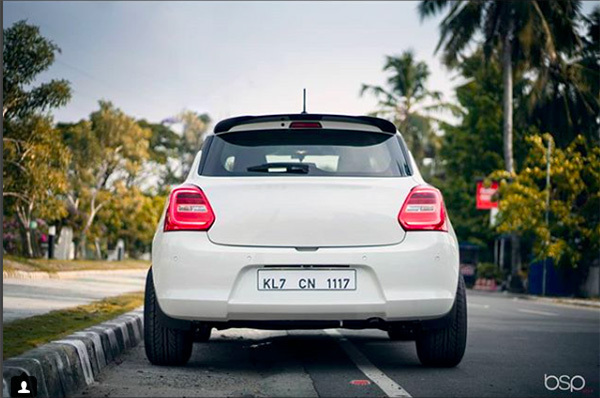 The highlight of this modified Swift is its very sporty stance. The car has been substantially lowered and rides on custom multi-spoke alloys that have a negative offset. The larger rims are shod with wider, low-profile rubber. Other than this, the front grille gets a red pinstripe, much like what the RS variant gets. The car also gets a black roof and black-painted ORVM caps. At the rear, it gets a black-painted roof spoiler and all the badges have been removed to give the car a very neat look. Apart from these changes, the exterior remains much like that of the stock model. However, this modified new Maruti Suzuki Swift goes on to show that the hatchback can be made to look HOTTER and much sportier simply thru a handful of not-so-radical modifications. It’s not known if this Swift carries any performance modifications. However, we’re hoping it would’ve got at least some minor performance mods to make up for the drop in performance due to the wider tires. The new Swift has been on sale in with both petrol and diesel engines. 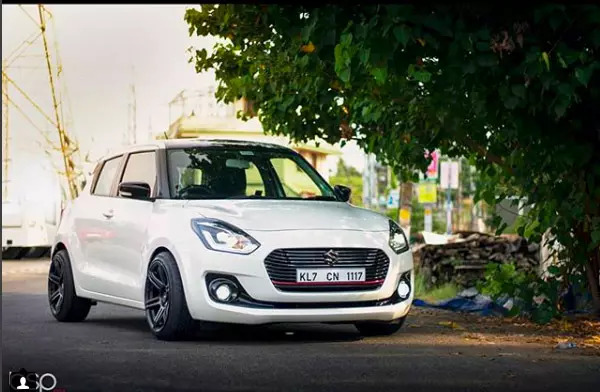 The petrol Swift is powered by a 1.2-litre, naturally-aspirated, four-cylinder engine that outputs a maximum power of 81.80 bhp and a peak torque of 113 Nm. The diesel-sipping Swift is powered by a Fiat-sourced, 1.3-litre, turbocharged unit that produces 74 bhp of maximum power and a peak torque of 190 Nm. Both the engines come mated to a 5-speed manual transmission as standard and a 5-speed AMT as optional.